The Canadian Association for Integrative Nutrition (CAIN) is dedicated to providing you with the all of the support and tools you need to create a successful, heart-centered business. Our amazing members are a diverse mix of Holistic Nutritionists who are veterans in the industry, new entrepreneurs, graduates, and students. Holistic Nutritionist's and Health Coaches, take your career to the next level! ​Start taking advantage of C.A.I.N. 's exclusive member benefits today. Educate and empower our member community by registering your courses, products & services, events, videos and books etc. Why do we need organizations such as CAIN committed to providing support, accreditation, and valuable business resources to Canada's booming industry of Holistic Nutritionists? The integrative health and nutrition industry is largely unregulated by the government. This means without any schooling, the are no government provisions set forth or legal repercussions if someone completely lacking qualifications decides to say they are a Holistic Nutritionist and start seeing clients. This is not only unacceptable, it is downright dangerous! The public must be protected, your reputation as a qualified professional must be recognized, and the industry must be audited. This is where CAIN comes in. Accreditation of education programs is focused on quality of instruction, overall curriculum, program delivery, and determining whether students completing the program have successfully learned the materials by way of effective knowledge testing methods. 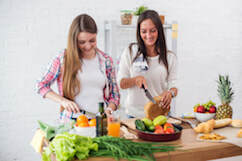 Holding a designation with The Canadian Association for Integrative Nutrition confirms to the public and potential employers that you have the proper experience, education and tools to call yourself an expert in your field. In an unregulated industry it is more important than ever to have a specified standard of education, and accreditation to ensure industry growth. You will be provided with the RHNP™ title, a certificate, registration number and member seal to confirm to potential clients and employers that you are a confirmed elite professional in your field. As a professional in an advisory role it is important to protect yourself and your business from potential mistakes that could cause harm to your customers, employees or other people involved with your business. We offer several levels of CGL and E&O to protect you against potential risk. **All plans are customizable to suit your specific business needs and available in all provinces. Free to all professional members (worth $300 CDN / year) is a revolutionary tool that will enhance your practice and help keep your clients safe. ​Access to the largest and most comprehensive Drug and Supplements database will allow you to enter any recommendations you may make along with any health conditions, herbs, prescription or over the counter drugs to check for interactions in minutes. Gain access to our optional comprehensive plans for Medical, Dental, Critical Illness, Life Insurance and Accidental Death & Dismemberment for one low fee. You are pre-approved. No medical history or evidence required and pre-existing conditions are covered. ​Note: Due to 2016 legislation changes, we are not able to offer members in Quebec coverage at this time. CAIN has the largest offerings for its members Canada wide from free access to the Drug & Supplement Database, tickets to the CHFA Tradeshow, forms to help you get started, job postings, discounts to amazing products and services to help you grow your business and enjoy your free time, marketing tips, networking opportunities, and tons of industry resources, we have you covered in the members area. Want to spend more time working with clients and less time figuring out what services to use, how to find clients, promote yourself, and grow your following? We are here to point you in the right direction. ​You can even earn continuing education credits through your love of research. The world of nutrition and wellbeing is continually changing and it's imperative that as a professional you stay informed of those changes. CAIN requires its members to maintain a minimum of 35 CE Credits per year. 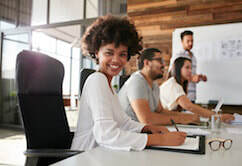 We provide free and paid courses top industry professionals to ensure you are always up to date on the latest news, research, products and services. Arming your clients with credible knowledge is a great and safe way to reinforce the information you may be discussing with your clients. ​We are continually growing our library with science backed research and articles so that you can have a powerful collection of supporting materials for your own files. Membership is $329.99 CAN per year for professional members and $199.99 per year for student members. As a special congratulations for doing the hard work and finishing your courses, we offer graduates a 10% discount within the first 30 days of course completion. We also offer an Early Bird 10% discount for annual renewals if you apply before your deadline. The industry is not regulated, why do I need to join c.a.i.n.? This is exactly why you need to join C.A.I.N.! You worked hard for this. You deserve the recognition that our designations provide. Because is an unregulated industry, there are many people claiming titles they don't deserve. They haven't gone to school, or they have taken a quick course to get familiarized and away they go! You have completed an approved program. Your program has been thoroughly reviewed and has met or exceeded our strict requirements. You have liability that properly covers your profession. You are continually learning and have access to the latest updates in the industry. By joining C.A.I.N. you stand out as a true professional. You separate yourself from the under qualified. You set a standard and you help give credibility to the industry. 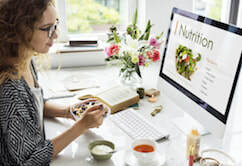 I have an extensive educational background in the health & Nutrition field, but I have not completed a Holistic Nutrition or Health coaching course. May I join? Nothing would make us happier than to let you join our amazing group, unfortunately, unless you are attending, or have completed an approved program, we cannot allow this. I AM NOT FROM CANADA, BUT I WOULD LIKE TO JOIN. IS THIS ALLOWED? Absolutely! We would love welcome you as a member. You will enjoy full benefits of being a member however, we are not able to offer out of country group health and dental at this time. But we are working on it! How many continuing education credits am i required to have each year? As a member of C.A.I.N. you must complete 35 CE Credits each year. If you competed your designation course in the year you signed up with us, you have already fulfilled your first year's requirements. Going forward you can obtain credits by taking additional courses that approved for CE status, attend our free sessions offered throughout the year, read books from our booklist, attend meetings and tradeshows with a learning component or take free courses through the Natural Medicines Database learning Centre. It's easy! What School doES C.A.I.N. recommend? As an association, we remain unbiased and will not recommend one school over another. We can however, confirm that all programs approved through C.A.I.N. have been thoroughly reviewed and meet or exceed our credentialing standards. Be a part of the Health Revolution. Join our community of Accredited Health & Nutrition Practitioners dedicated to changing lives and making a difference.